Pixus Technologies, a provider of embedded computing and enclosure solutions, has announced that its 1U MicroTCA Chassis has new versatile power options. DFI Tech, a provider of SWaP-optimized embedded computing solutions and board products, now offers a 3.5" Single Board Computer (SBC) for low-power requirements. 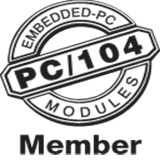 The board features Intel(r) Atom(tm) or Pentium(r)/Celeron(r) processor options.